Medications are safe to take at any time, if prescribed by a doctor. Remember that all medications, prescription or over-the-counter, are potentially dangerous and could impair your driving. Over-the-counter medicines that you take for colds and allergies can make you drowsy and affect your driving ability. It is your responsibility to know how your medication affects your ability to drive. 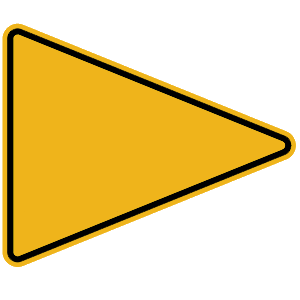 What message will be found on this yellow pennant-shaped sign? 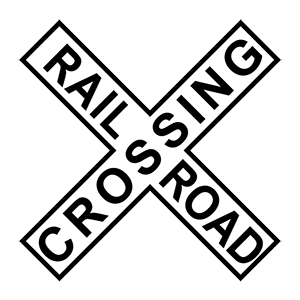 Pennant-shaped yellow signs like this are used to indicate a no passing zone. You are not allowed to travel in this direction. A red sign informs drivers that an action is prohibited. 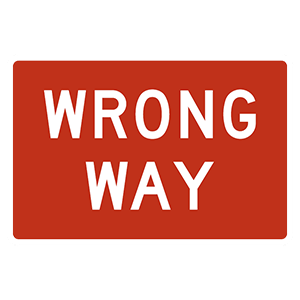 If you see this sign, you are traveling in the wrong direction on the road and should turn around immediately. When it has been raining hard for several hours. When they are clean and dry. Just after it starts to rain. Driving during the first half hour of rainfall is dangerous because roadways become extremely slippery when the water mixes with oil and other chemicals on the road surfaces that have not yet washed away. Use extra caution when driving on slippery roads. Maintain the posted speed to make it through the water. Avoid the puddle if possible. To prevent skidding on slippery surfaces, avoid especially slippery areas, such as ice patches, wet leaves, oil, or deep puddles. The safest surface for driving is a dry, solid surface. A driver’s ability to safely operate a vehicle may be impaired at any BAC level, even a level lower than the legal limit. Any amount of alcohol can affect one’s judgment and physical coordination. Driving under the influence of even a small amount of alcohol can lead to criminal charges.